Conakry (AFP) - Eleven people have been sentenced to life in prison in Guinea for murdering eight Ebola workers, while another 15 have been acquitted, judicial sources told AFP on Wednesday. The victims, including local health officials and journalists, went missing after their delegation came under attack from angry locals during an outreach visit to the southern town of Womey in September last year. Eight bodies were recovered from the septic tank of a nearby primary school two days after the attack. "We argued for two days, but we didn't make ourselves heard and Judge Mohamed Diop issued a heavy penalty that we are going to challenge at the supreme court," defence lawyer Michel Labile Sonomou told AFP. The prosecution had sought the death penalty against 15 defendants and acquittal for the other 11. Prosecutor Williams Fernandez said he was "very satisfied with the decisions that have been taken" at the sentencing late on Tuesday. "As a prosecutor, I always ask for the maximum to get what I was aiming for, because I know that Guinea does not carry out death sentences, although it is still provided for in our penal code. So it's a good decision," he told AFP. The deadliest Ebola epidemic on record has killed nearly 11,000 people in west Africa, according to the World Health Organization. 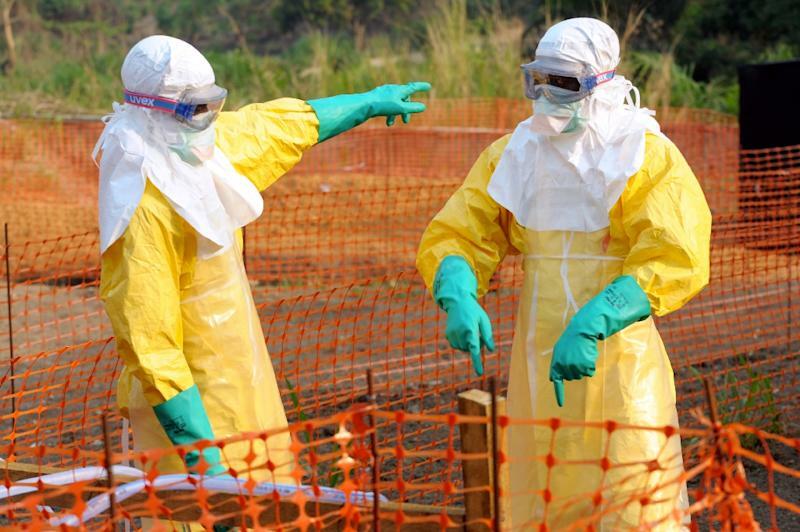 The virus emerged in Guinea in December 2013 and quickly spread, accompanied by fear and paranoia among villagers who felt the government and the international community could not be trusted. Many Guineans believed local and foreign healthcare workers were part of a conspiracy to deliberately introduce the outbreak, or invented it as a means of luring Africans to clinics to harvest their blood and organs. A police lieutenant told AFP the Womey outreach team was targeted by protesters who had come "to kill them because they think Ebola is nothing more than an invention of white people to kill black people".